2 DVD’s + 1 Audio CD + Printed Step Sheets! 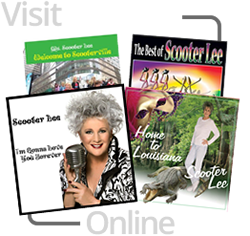 For new line dancers or instructors who teach new line dancers. This package is guaranteed to build confidence on the the dance floor with style and comfort. 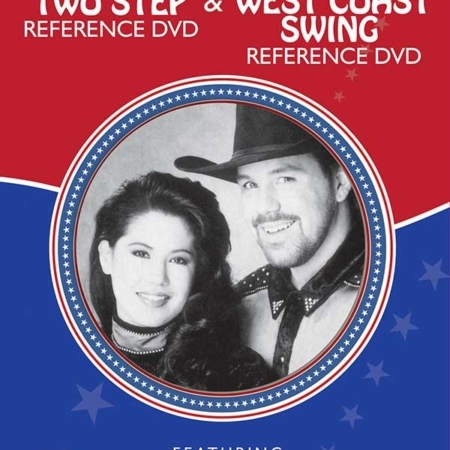 This special includes The Ultimate Line Dance Reference DVD with the 70 steps used in line dancing, plus 6 easy line dances – Also Includes – Line Dance Starter Series (Level 1) DVD with 16 dances. BUT….that’s not all! 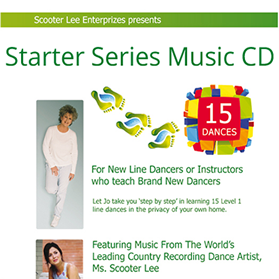 You’ll also receive the Starter Series Music CD with 16 Songs to match the starter line dances. This audio CD teaches you all the rhythms in music needed for line dance, so you can dance all night long to 100’s of songs! 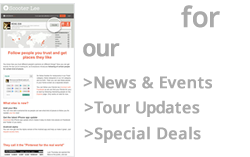 Are you a line dancer or interested in becoming a line dancer? Are you tired of always being on the outside looking in, wishing you were having all the fun? Applejack? Vaudeville? The Kick Ball Change?? The Monterey Turn??? Don’t Worry! 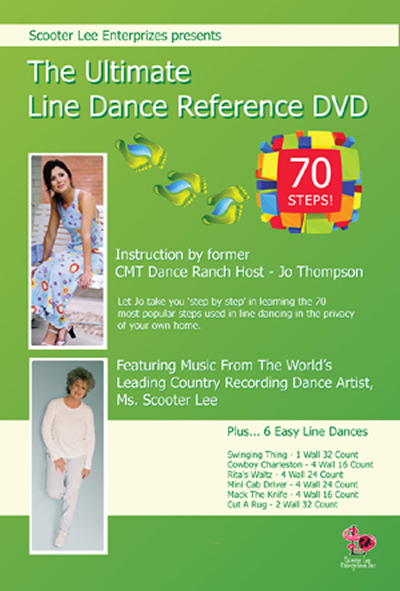 Jo Thompson Szymanski; the world renowned choreographer & instructor takes you step by step through the 70 most common dance steps used in line dancing. Learn these and there isn’t a line dance you can’t do. You’ll feel great on the dance floor! Watch ‘The Ultimate Line Dance Reference Video” promo on YouTube! 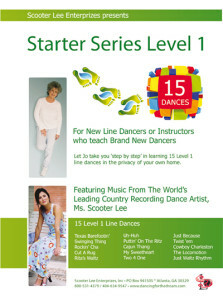 An instructional video for new dancers or instructors who teach new or aging line dancers. Let instructor Jo Thompson Szymanski take you step-by-step in learning 15 Level 1 line dances in the privacy of your own home.